The new HP Omen lineup brings a refreshed design and better cooling at a lower prices than the outgoing models. HP re-launched its 2017 gaming lineup earlier this year under the revamped Omen sub-brand. Today, the company is announcing a refresh of the entire Omen laptop lineup. According to HP, the new Omen 15 and 17 are now re-designed and re-engineered from the ground up. The new laptops do away with the old rehashed Pavillion look and come in a new, edgy design with a floating single hinge display. The Omen logo is now much more prominent around the back and company executives told us that the cooling has been revamped as well to meet the demands of their customers. On the hardware side, it is business as usual. The HP Omen 15 which starts at Rs. 80,990 comes with an Intel Core i5-7300HQ processor, It features 8GB of DDR4 memory clocked at 2400MHz and for graphics it rocks a NVIDIA GeForce GTX 1050 (2GB). As you move higher up the price tree, the graphics can be updated to a GTX 1050 Ti (4GB). The 1TB 7200RPM HDD is standard across all variants and the higher variants also get an 128GB SSD option along with 16GB of RAM. 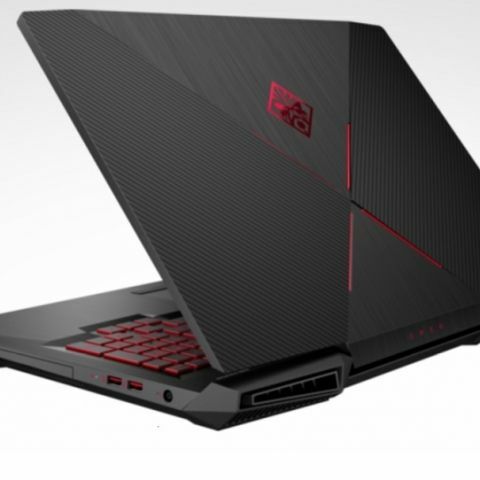 The HP Omen 17, which starts at Rs. 1,59,990, packs a more powerful Intel Core i7-7700HQ processor. You get 16GB of DDR4 RAM again clocked at 2400MHz. For storage, you have the standard 1TB 7200RPM HDD along with a 256GB NVMe M.2 SSD. Graphic duties are handled by a NVIDIA GeForce GTX 1060 (6GB) and the higher variant of the machine features a GTX 1070 (8GB) instead. The laptop also packs a massive 8-cell battery, which HP claims will go on for 12 hours. Better choice between HP OMEN 15-ax248TX and ASUS FX553VD ?